Inside you will find three worksheets that help students make ten using addition. 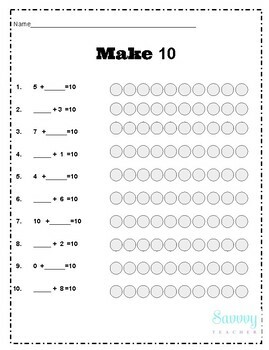 These worksheets align to common core standards. 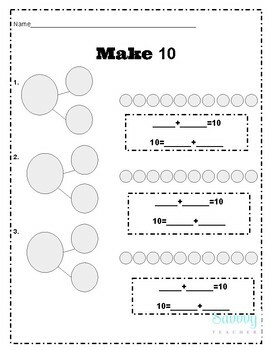 Students will use colored pencil or crayon to fill in the circles in order to determine different ways to make 10, missing addend problems and number bonds.